For four of those found to be in violation of Riot’s policies, the company felt that their behaviour warranted monetary fines. Gambit esports’ Diamondprox and Invictus’ TheShy have both been fined US$1,000 for their negative behaviour. Korean second seed Afreeca Freecs’ head coach was fined $1,500 – his increased penalty the result of being reported for toxic behaviour “in more than 70% of the solo queue games he played in September.” You can read more in a statement issued by the developer earlier today. The highest fine was levelled at Jian “Uzi” Zihao, the ADC for China’s first seed, Royal Never Give Up. Uzi was found to have been griefing and intentionally feeding during solo-queue matches, but also using an account not registered to him. The combination of negative behaviour and account-sharing lead to an increased fine of $2,000. Elsewhere, formal warnings were levelled at another dozen players. Three members of Europe second seed Team Vitality were punished, as were two players from the region’s third seed, G2 Esports. Two further members of Afreeca Freecs were issued warnings, along with two players from Invictus Gaming, and one player each from Cloud9, Gambit, and Edward Gaming. You can check out the full list, as well as some of Riot’s reasoning, in the statement linked above. All 16 players were found to have violated League of Legends’ Terms of Service, meaning Riot officials “may assign penalties at their sole discretion.” All players have been warned that further negative behaviour may result in heightened penalties, including suspensions from competitive play. League of Legends Worlds 2018 has just completed its Play-In stages, which saw EDG, G2, Cloud9, and the LMS’ G-Rex qualify for the next round of the competition. It remains to be seen whether the impact of those fines will be felt throughout the tournament. 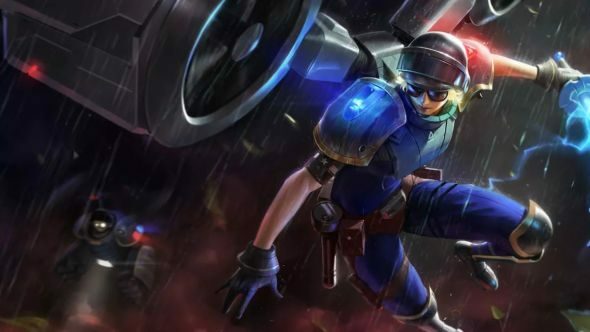 If you want to keep up with the game’s biggest tournament, you might want to take a look at the League of Legends patch 8.19 notes – us mere mortals are heading towards patch 8.20, but the pros will play the entire tournament on the last major update to drop.